With the fanfare of the American season coming to an end, great tennis and crowds, the Pro Tour moves from hard court to clay ….. new footwear, new clothes, new conditioning and new mindset ! Clay takes on the style and subtle skills of a player wishing to be successful, with court craft and point building the focus. Without changing the character of their game and power of the modern foundation, good players add variety and creativity to their formula of ‘play’. This takes the shape of more use of variety of spin, drop shots and acute angles, and I believe this season, more volleys. Together with conditioning based on aerobic capacity, the smart players allow this to build up over a few weeks and not put stress on their bodies too early. At the same time their game and mind expands in a natural environmental way. A trap for young pro’s heading to Europe is the thinking that they have to play an entirely different way ….. beware the consequences and seek experienced mentoring (Aussies take note). Speaking of ‘down under’ the Autumn in Australia is also clay covered in activity with the Victorian Claycourt Championships underway, followed by two ITF Junior events in Melbourne, along with the National 16’s (both on the new clay at the National Tennis Centre, Melbourne Park). The National 12’s and 14’s will be on clay in Ipswich, Qld plus a host of OJT tournaments around Victoria during the school holidays. Vintage Tennis is excited about the clay tennis that is to come over this next period where the brain and imagination are on show to their best ….. and yes, the best at it, will prevail ! 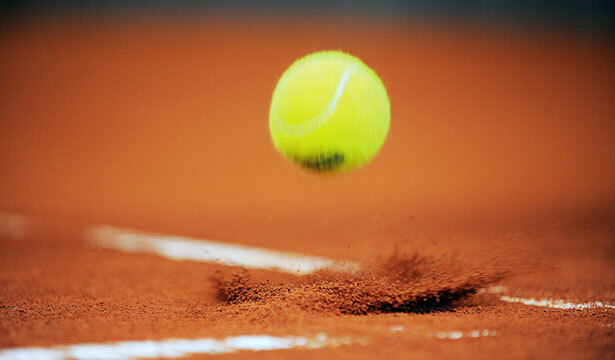 This entry was posted in atp tour, Australia, Blog, clay court, Europe, preparation, tennis, wta tour and tagged atp tour, clay court, itf tour, preparation, wta tour. Bookmark the permalink.